Anti-Tilt Stabilizer Wobble Device Brand New Easy installation with bolts This bracket can help you to reduce wobbling (rocking motion) of hitch mounted products. Works with cargo carriers, motorcycle carrier bike racks and other products that go into a 2" trailer hitch. Used with class III hitch to prevent wobble when using a hitch mounted carrier or other product by pinching the main hitch tube of towing product firmly into the trailer hitch receiver attached to your vehicle. 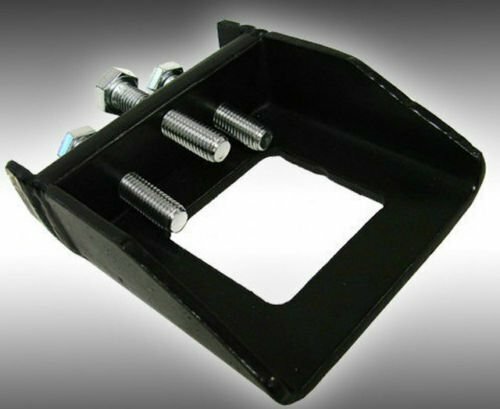 Specification: Made of eatremely durable steel construction Reduces wobbling while driving Case color: black 3 bolts and nuts included Fitment: This braket fits 2" trailer hitches.